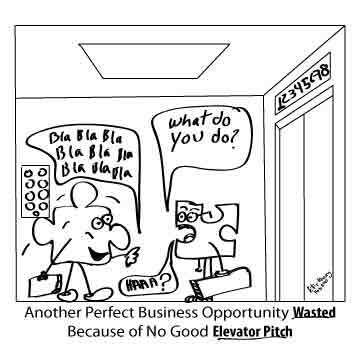 It’s said that any entrepreneur should be able to deliver an engaging and succinct elevator pitch to anyone at anytime. Entrepreneurs hone and hammer their pitches every day with each new person they meet answering the same question countless times about their company: “what is it and what does it do?” This repetition and practice helps to drive not only a deeper understanding of the company and its core competency to others, it also instills confidence into the entrepreneur as to their own skills and strong points and how they relate to selling the product. Anyone looking to find a job should look to this process for guidance when preparing to meet a potential employer. In essence, each job seeker is an entrepreneur, attempting to pitch their most valuable asset, themselves, to anyone and everyone that might listen. All too often a candidate who looks great on paper falls short during the interview because they fail to convincingly pitch themselves. Candidates cannot confidently answer relevant questions about themselves, their skills, or why they would be a good fit for the position in question. This is often because they’ve rarely, if ever, had to actually speak to anyone in an engaging and articulate way about their background, skills, intentions and goals. Job seekers should treat themselves as a valuable commodity or brand and pitch themselves as such. Often they have invested large sums of money in their education or professional training in order to hone interpersonal and professional skills that help them stand out from other qualified candidates. When it comes time to articulately relate this information to an employer though, many job seekers either leave out what makes them a unique candidate or ramble on for too long, diluting their message. Write down ten of your strongest skills and choose the five that you think are most likely to help you stand out. Then compare these skills to the skills the job you are applying for requires. By reviewing your own experience and qualifications next to those that the job is seeking, candidates can start to understand what strengths they need highlight during their pitch. Understanding the trajectory of the company and how you fit into it is essential to pitching yourself to an employer. Just as an entrepreneur understands where they see their company in five years, candidates should understand where they want to be professionally and how their own goals can help the business grow too. Once you have written them down memorize them both. Each one is equally important for different scenarios you may find yourself in during job interviews and will help you remember your most marketable skills when pitching yourself to an employer. The odds of you ever saying your pitch exactly as you have it memorized are small, but it pays to be able to say it confidently and know you aren’t leaving out any important details. Saying it in your head doesn’t count, say it out loud and time yourself without reading off your paper. You’ll thank yourself later when your confidence and ability to pitch yourself to an employer lands you the job. It’s never easy to pitch to a stranger, but over time with practice it gets easier and with ease comes confidence. Being able to confidently convey the strength and long-term worth of a product is an essential skill for any entrepreneur, and job seekers should treat pitching themselves to an employer no differently. Practicing the steps above can help a job seeker build their confidence and assert their professional strength and worth, essential elements for anyone looking to pitch themselves to anyone from a billion dollar VC firm to their potential employer. Sean Little is the VP of marketing for FirstJob.com. FirstJob specialized in connecting recent graduates with entry level jobs related to their fields and connecting recruiters with the candidates they’re looking for. 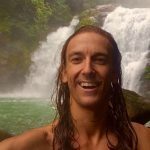 Watch his job blog for up-to-date for up-to-date tips and advice on landing the perfect position.